Do you have these problems with your restaurant, food or retail business? Or perhaps you are looking to increase your current profits to the next level, and considering expansion. No matter whether you are just starting up a business or have already committed to a layout and brand, why not have a food and beverage restaurant marketing consultant guide you step-by-step through your restaurant business. When I started out, I initially also thought of saving money by trying it out myself. I ended up losing MORE money from all the mistaken purchases and losses made from sales I could have gotten. Don’t let history repeat itself. Food retail marketing might seem easy, but it takes not just effort in the kitchen, but effort on promoting your business outside. The best food that no one knows about is useless, and is a major reason a lot of restaurants close down even with a excellent menu or chef. Imagine seeing a constant and predictable stream of customers everyday, and not having to worry about whether you can pay the rent. If you want someone to help you build your marketing system and explain how to execute a successful marketing campaign while you focus on creating excellent food and service, I’m the right guy. There are other F&B consultants out there too who mostly assist with setup/menu planning, but I’m the only one who specializes in Food and Beverage marketing. 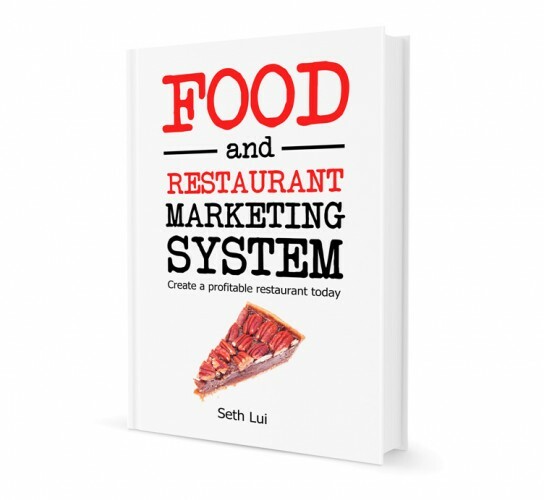 My name is Seth Lui and I have been working and starting businesses in the F&B industry for years. I do specialized Food and Beverage Consultation services especially in the marketing side. My F&B business has been featured on multiple media like The Sunday Times, 8 Days, Timeout Singapore and garnered extremely positive reviews online and offline. But all these achievements did not come easily; I have also gone through partnership breakups (3 partners already since I started), near business bankruptcy and wasted thousands of dollars on advertising and marketing spend that could have been used much more efficiently to increase revenue. I was in the same boat as you too. After trying everything and going through so much, and combining all the industry experience and advice I have received over the years, I finally found a combination of methods that work in Singapore F&B retail. I developed FARMS, also known as the Food And Restaurant Marketing System, specifically made for the Food industry. Check out the link if you want to purchase the FARMS home-study ebook, it’s a good way to test what value I can offer for a very nominal fee. You can also read my published F&B marketing articles for free tips and advice that I share. For new restaurants, I can create a Customized Marketing System and Strategy Package, or conduct consultation by the hour for the more budget concerned SME. Set the right marketing strategy plan in place from the start and make sure you follow it religiously. Many restaurants do not have a marketing strategy and just try to react to the situation. After a few months, you will start to struggle due to poor sales, then scramble to try everything under the sun desperately. So why wait for this to happen at all? Be prepared. Get new customers through your door, get customers to come back again, and get them to spend MORE. These are all the marketing tactics my consultation will provide. Do it the right way from the start. If you have no experience in F&B, it is far too expensive to try and learn by yourself. In the end you will waste MORE money than if you had a consultant from the start. I’ve seen it countless times. Do not make the same mistakes as other restaurant owners of wasting dollars on advertising in the wrong places. The newspaper advertiser will say his medium is the best, the Group deal buying agent will also say his is the best. Their recommendation is biased because they only have that one product to sell. Only an F&B consultant on your side will recommend you the BEST option that will increase your business sales, not the advertiser. Start earning profits right from the start for all your hard work. Every month you don’t get your marketing right, you are missing out on tens of thousands of dollars PER month. For the entrepreneur who has already set up his restaurant, you can engage me to look in from the outside. Consultants provide the alternate view that most business owners miss after being in it too long. You start to create biases and sentimentalism for your work. However the truth is what doesn’t work to bring in money, has to be changed. No matter how much you like it. You need someone experienced to tell you what exactly needs to be changed, and not your best friend or Aunty who knows nuts about running a food business. I will spend 1 day observing, interviewing and reviewing your restaurant model, F&B operations and marketing, then produce a business analysis report. After we diagnose out what is the problem, I will spend another day with you to make my recommendations and highlighting the business aspects that can be improved, and what else you must add to your marketing system or your food operations. I will also provide new ideas on marketing campaigns and teach you how to execute these advanced tactics which will bring your business profits to the next level. Are you a new restaurant opening or an existing restaurant that needs a kitchen or menu revamp? I have F&B services ideal for any F&B situation. I’m not a professional chef, and I recognize this limitation. I’m a marketer and restaurant reviewer, with hundreds of restaurants under my belt. I’m also an F&B owner and know exactly what you need. For this aspect of your business, we will work with the best chef consultants and kitchen planners to craft a menu for you restaurant. A menu not only has to taste good, but has to be doable according to the level of expertise your staff has, and the size of your restaurant and kitchen. What ingredients to use, ingredient costing, which suppliers to use, we will cover all of this. We can also plan the kitchen layout for you. This is critical before renovations as it affects operations. A poorly planned kitchen might run out of storage space, increase cooking time and produce more problems in the long run. You want to plan this out from the start. Save yourself tens of thousands and get an experienced F&B specialist to look at what you are being sold before you invest such a large sum. As with real estate, take-over business profits are made the moment you buy. There are far too many swindlers trying to make a quick buck by selling you a potato disguised as a Truffle. Don’t be cheated or pressured into buying a loss-making business by getting expert advice. Sethlui.com sees more than 2 million page views each month, and is among the top 10 most visited food blogs in Singapore, as featured by blogger Johor Kaki. As an established food writer, I also bring exposure to your food establishment due to my popular and top search-engine ranked food reviews from sethlui.com. 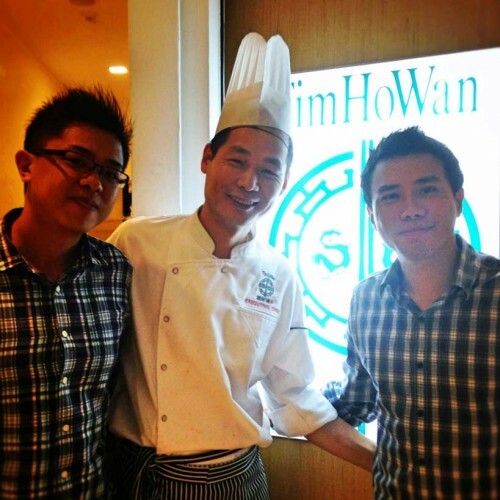 Just try searching for example “Tim Ho Wan Singapore” or “Best famous food Singapore” in Google, and my site name will appear on the first page. If you’re interested to get your restaurant featured on our blog, do drop me an email. 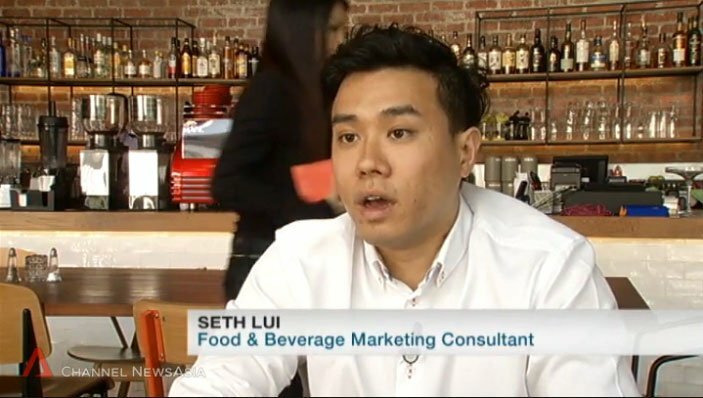 Interview on Channel News Asia about F&B marketing. Do assist me to fill up my consultation enquiry form if you are interested to engage my professional services. For matters other than consultation, email me at seth[at]sethlui.com. If you are still not sure about whether I can give you value, why not just buy my F&B marketing book or read my free marketing articles. Read more about my Food and Restaurant Marketing System. An email with the ebook download link will be sent to you. Please check your spam folder if it's not in your inbox. The download link will last for 14 days, please download it by then.